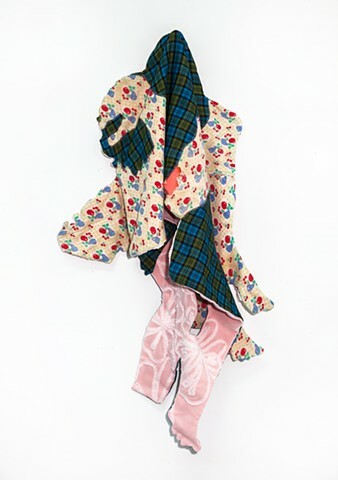 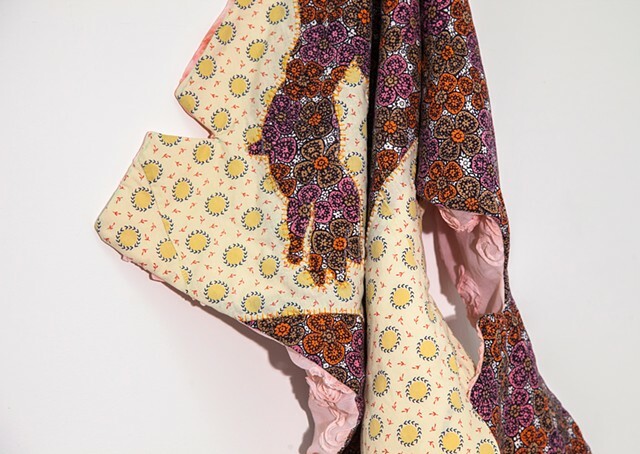 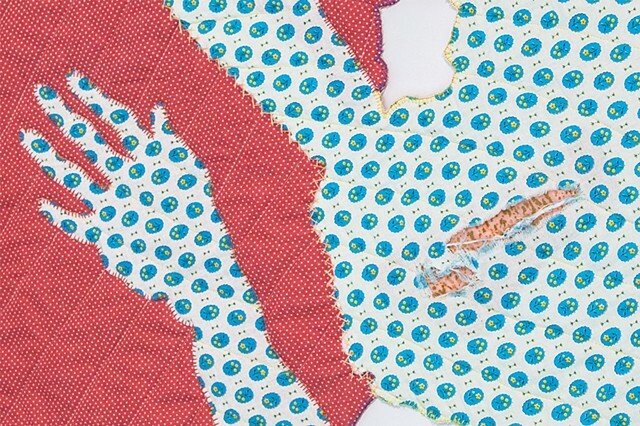 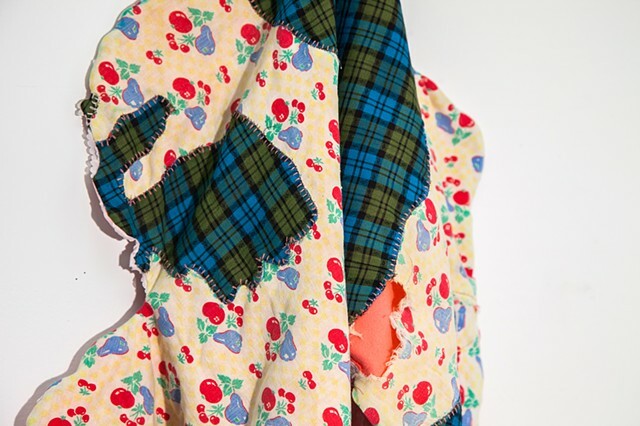 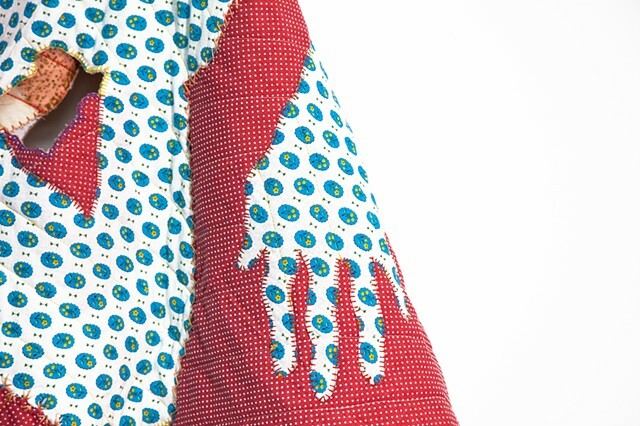 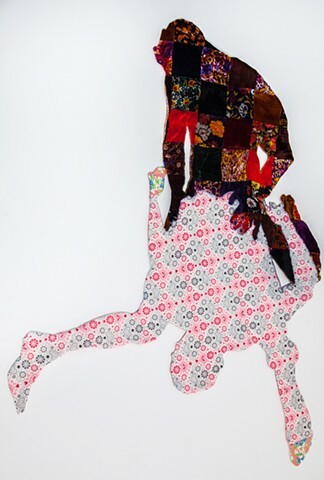 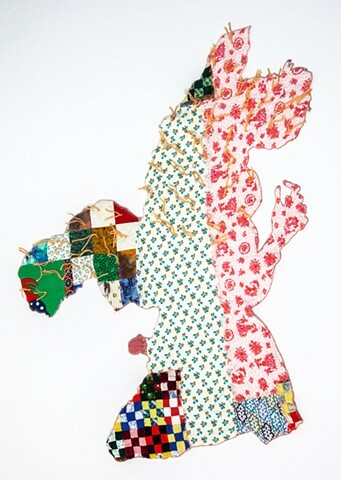 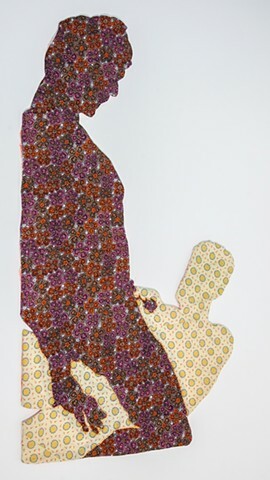 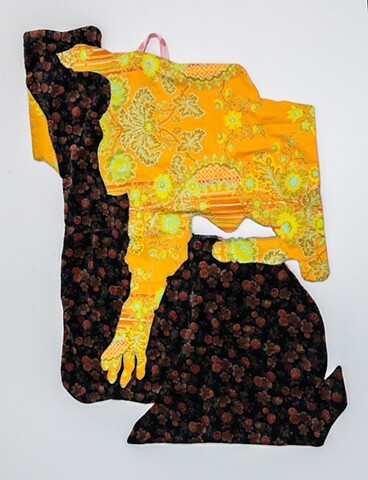 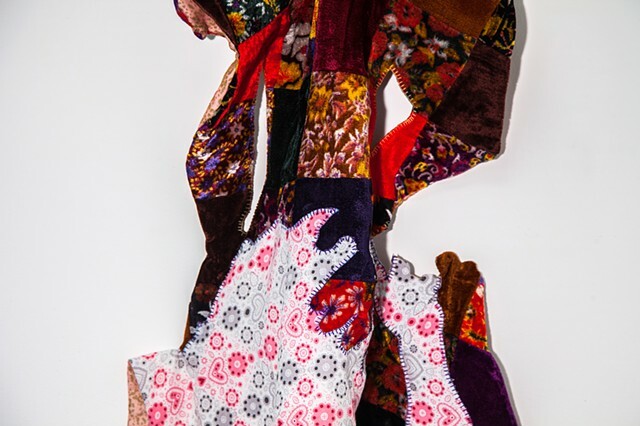 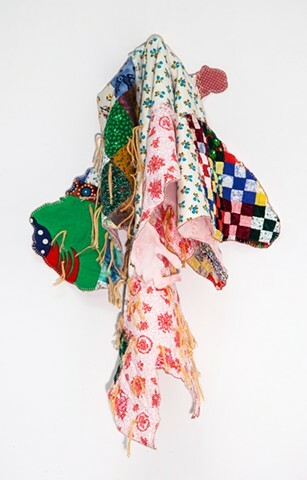 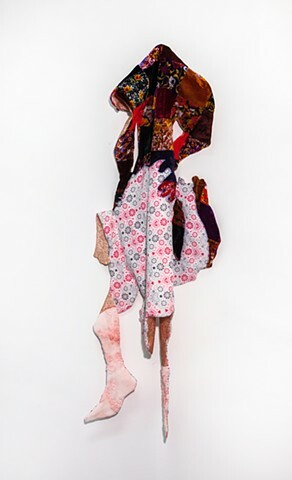 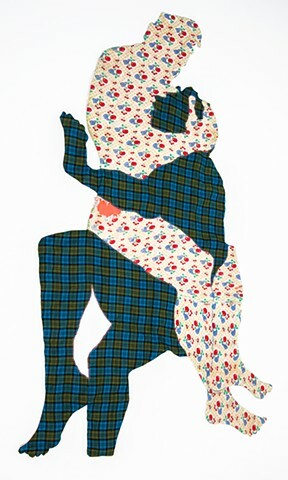 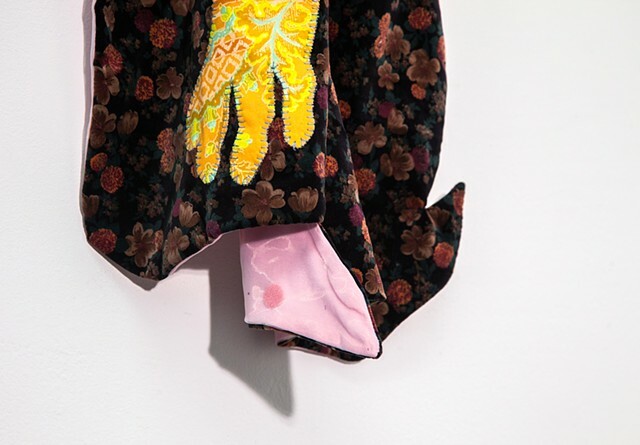 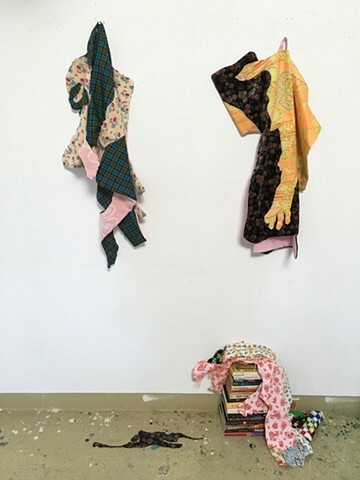 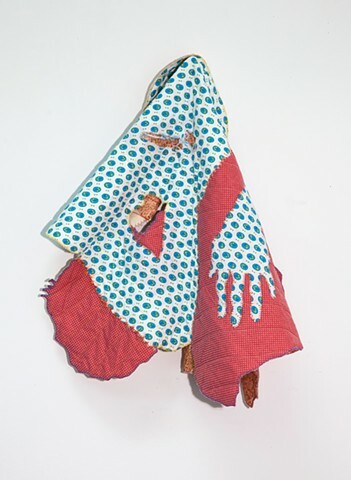 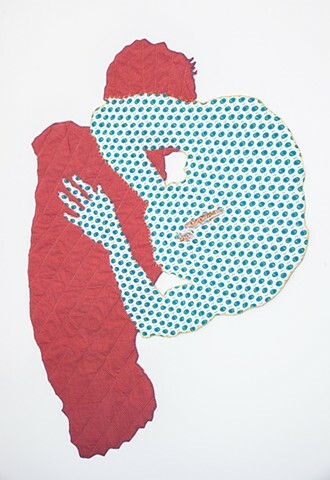 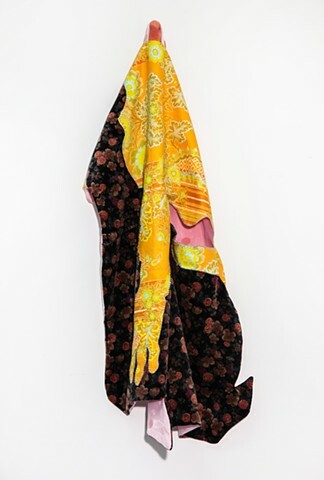 These figurative quilts are strange baby blankets, and they riff on the role of transitional objects, as described by psychoanalyst Donald Woods Winnicott who posited that young children use objects (teddy bears, blankies) to separate the "me" from the "not-me". 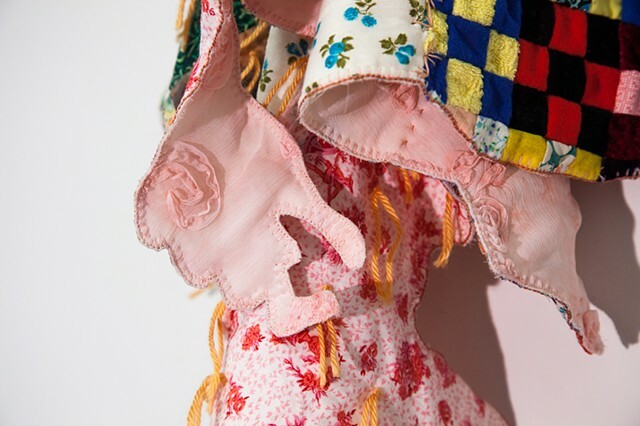 My transitional objects aren’t rooted in childhood, but rather in the discoveries of newfound adult sexuality and eroticism. 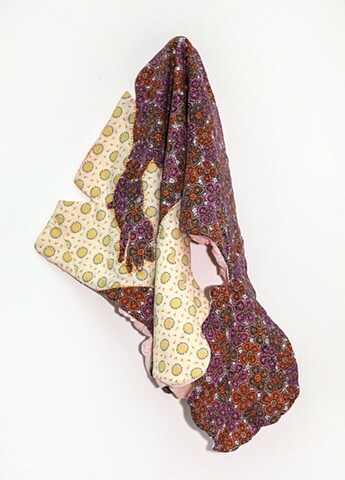 vintage cloth from artist's family, cotton flannel, sheer polyester floral fabric, thread, hand-embroidered "fancywork"